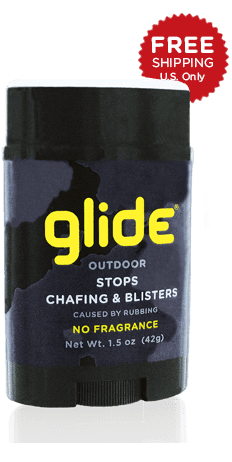 Wherever skin is rubbed by clothing, footwear or skin against skin, the balm forms an effective, dry, invisible barrier against chafing, foot blisters and raw skin. Sweat escapes and lets skin breathe. Safe on rubber and neoprene. Preferred choice over messy, wet creams, gels, and powders. No petroleum, lanolin or mineral oils. Will not harm gear or transfer to weapons.